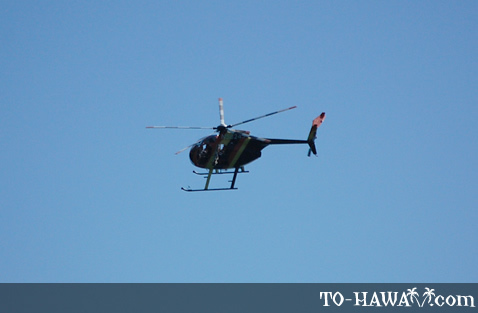 Helicopter tours are one of the most popular things to do in Hawaii. 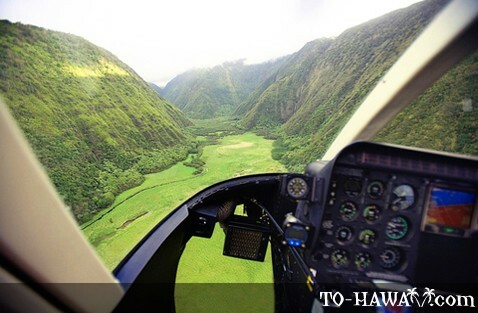 There are several helicopter tour companies on Oahu, Maui, Kauai and the Big Island to choose from. Hawaii helicopter tours give you the opportunity to see Hawaii in a way that it can't be seen from the ground. There are many hidden valleys and waterfalls that are otherwise inaccessible and can only be seen from a helicopter. If you are on Oahu, some of the sights you may explore from the air are the famous Waikiki Beach and Diamond Head, Honolulu's highlights, surfing beaches on the North Shore, Ka'a'awa Valley, Sacred Falls (which can only be seen from the air), the Dole Plantation and many more. For those who want to emphasize on the historical sights of Oahu, there's a tour that takes you above Pearl Harbor, (including the USS Arizona Memorial and Battleship Row) and the Punchbowl National Cemetery. If you want to see it all on Oahu, then just book one of the Grand Circle Island flights. In the evening hours, you can enjoy a breathtaking sunset and city lights flight. Helicopter combo packages are also available. They are offered in combination with another activity, such as a submarine tour or a night show. The island of Maui is home to unique natural surroundings and a great way to explore and see it all is by helicopter. You can fly above the spectacular Haleakala Crater, Iao Valley, tropical rainforests, cascading waterfalls and the Hana Coast. And there are even flights that take you all the way across the channel to the neighbor island of Molokai to see its stunning sea cliffs, which are the highest in the world. Many people consider Kauai to be the most beautiful of Hawaii's islands because it is so lush, has beautiful white-sand beaches, colorful tropical flora and green mountains with cascading waterfalls. If you want to see if this is true or not, the best way to do so is to see the island from a bird's eye view. Some of the highlights you can fly above are Waimea Canyon, described by Mark Twain as the Grand Canyon of the Pacific, Mount Waialeale - one of the wettest spots in the world, the Na Pali Coast with its fascinating sea cliffs, the breathtaking Wailua Falls, Wailua River, Hanalei Bay and much more. Never flown above a real active volcano? Now here is your chance! Simply book a volcano helicopter flight on the Big Island. Local helicopter companies will be more than happy to take you on such a hot adventure above an active volcano to see the lava flow. Besides volcanoes, you can fly above other attractions, such as tropical rainforests, spectacular waterfalls, Waipio Valley and other natural sights. Hawaiian glider tour companies offer the same sightseeing as helicopter tours do, plus adventurous and exhilarating acrobatic rides. If you want to go on a helicopter tour while you are in Hawaii, please note that there are passenger weight restrictions. The limit can be different for each company, but the average weight limit is 250 pounds (113.4 kg). If a passenger above this weight limit wants to go on a flight, he or she needs to book an additional seat. The weight restriction is very strict and some of the helicopter tours companies weigh the passengers before a flight.